The customer service person answering calls is the customer’s first contact with your company. In other words, relationship building begins from the moment the phone first rings. If you don’t, you risk creating a customer opinion that your company isn’t stable enough to support their system. Customer service today needs the human touch. You are likely losing jobs without a live person answering the phone. Tip #2: From the way you answer the phone, your customer forms an impression of how you conduct the rest of your business. Therefore, no matter how skilled your technicians are at what they do, CSRs impact customer perception. Poor telephone skills damages relationships and confidence built by technicians. 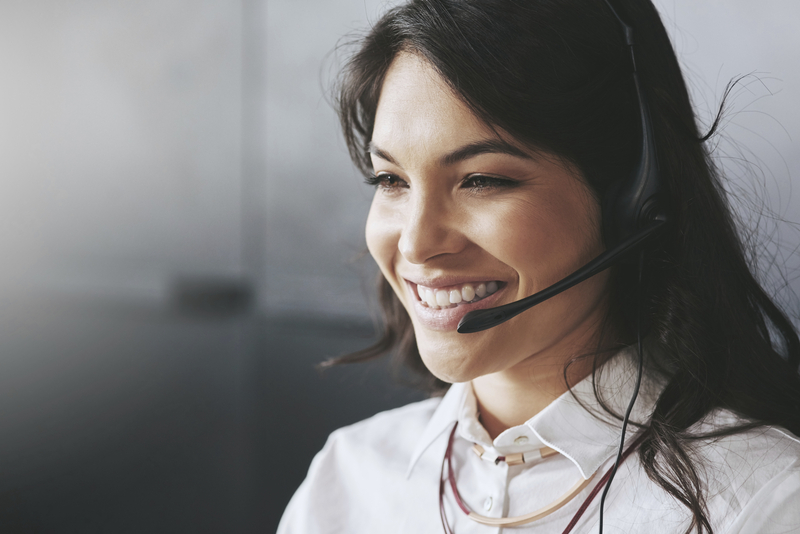 While a smile in the voice goes a long way when answering the telephone, CSRs should always be upbeat and positive. Customers should view the customer service personnel as the friendliest people in your company. So let your customer service people develop their own special style. Don’t saddle them with a stilted greeting they are uncomfortable with conveying. Are friendly and helpful customer service representatives the first impression your company has with clients? They should be. Friendly and helpful service representatives should be the first impression your company has with clients. A well prepared, professional, attentive and responsive customer service representative is required. They provide services well beyond just answering the phone. They need skills to communicate what your company represents over the phone. So make sure your team knows what your vision is for the company and how to convey it to the customer. Establish how you want the phone answered. Sample scripts help a CSR through training, difficult encounters, technical questions, and more. Furthermore, training for customer service is as important as technical training for field personnel. So make sure CSRs understand that EVERY customer concern, need, inquiry and question is top priority. Every customer should feel that your company gives them priority services from the moment they first contact you. Do not leave it to chance that your CSRs fully understand how to convert a customer inquiry into a booked appointment. Keeping your people in front of customers is critical to making sales goals. It is also important for CSRs to understand how to handle price shoppers and how to respond to price inquiries. Make sure to equip CSRs with educational material, brochures, flyers and other resources so they can better explain your services and products to customers. Include CSRs in training meetings that will help them understand the benefits of doing business with your company. In other words, do your CSRs understand Performance-Based Contracting? This means you need to establish authority limits that will empower CSRs to handle issues without escalation. Many times, passing a customer on to multiple people or waiting for a call back will simply add fuel to the fire. Rather than passing the buck, customer service personnel who know and understand their authority to solve problems can often diffuse a difficult situation. Being able to determine a customer’s needs is a skill that requires training, caring and practice. Note that customer service personnel should have excellent listening skills, because nothing is more frustrating to a customer than feeling unheard. In conclusion, make sure to train and equip your CSRs with all of the tools necessary to make their success YOUR success! Nita Brooks is the NCI Business Solutions Development Manager. Her main role is to develop business curriculum, programs, tools, training, and processes that will strengthen the HVAC contractor’s business skills and accurately reflect company profitability. She can be reached at NitaB@ncihvac.com.